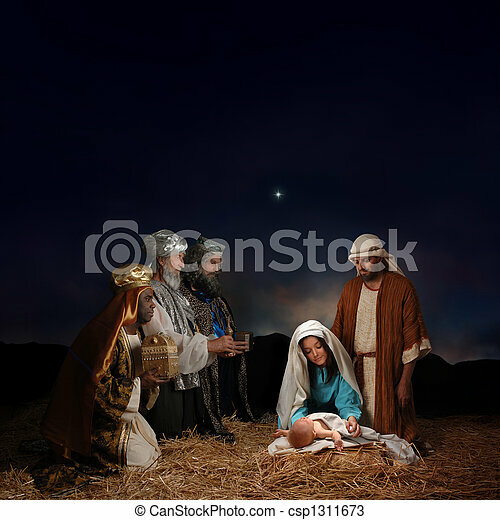 Christmas nativity with wise men. 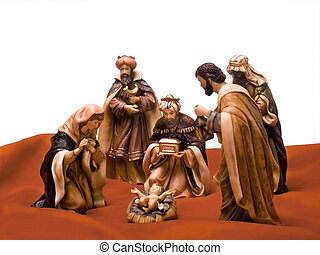 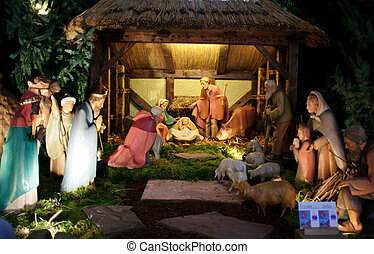 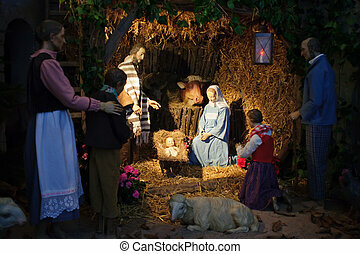 Christmas nativity scene with three wise men presenting gifts to baby jesus, mary & joseph. 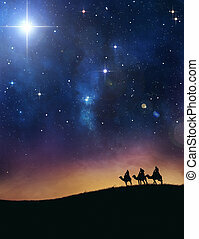 Three wise men following the star of bethlehem. 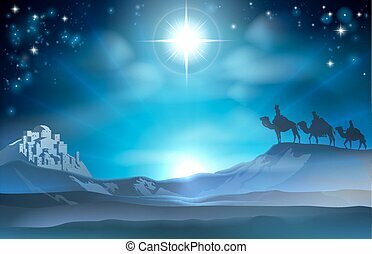 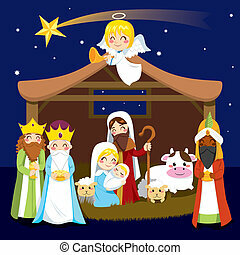 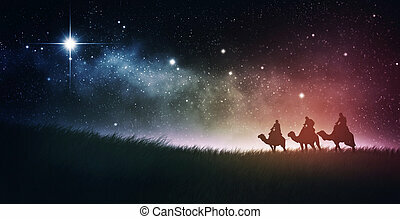 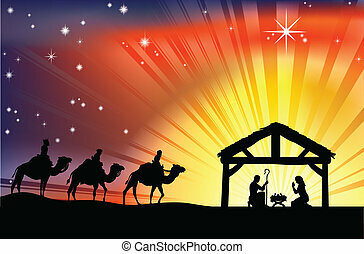 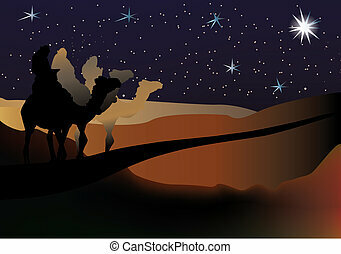 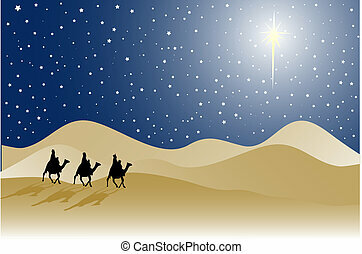 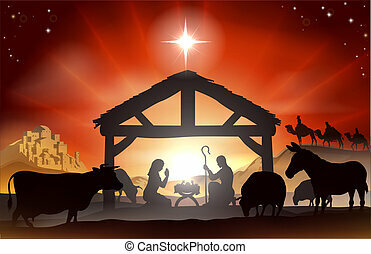 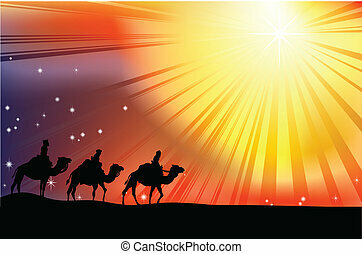 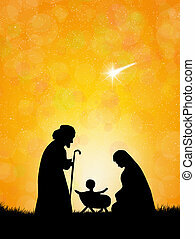 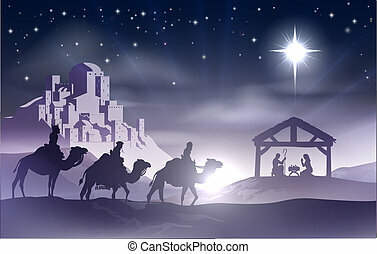 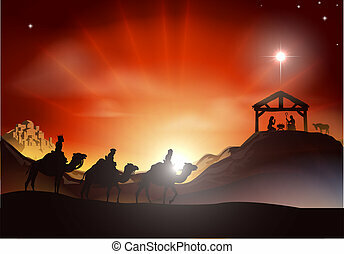 Three wise men follow star with space background.